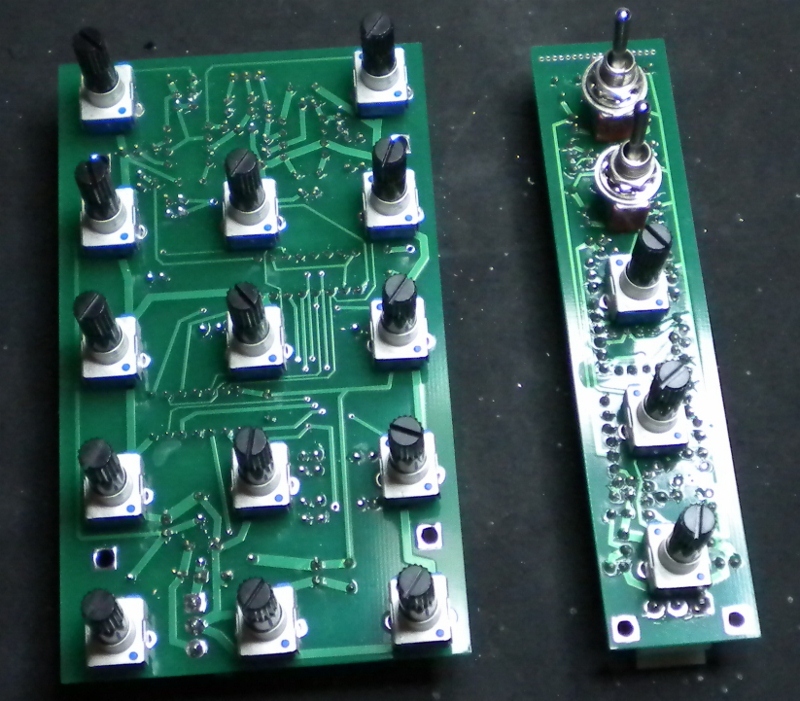 got a bunch of boards in this week, which distracted me from building sequencers. Just had to see if they worked. 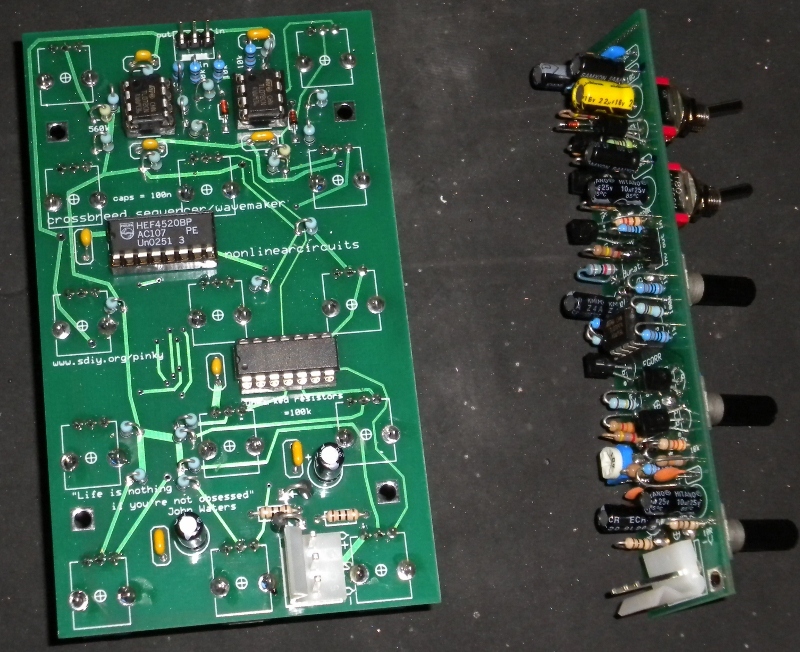 So there is a basic envelope generator, all trannie core circuitry, just an op amp on the output to get 0-6V levels. 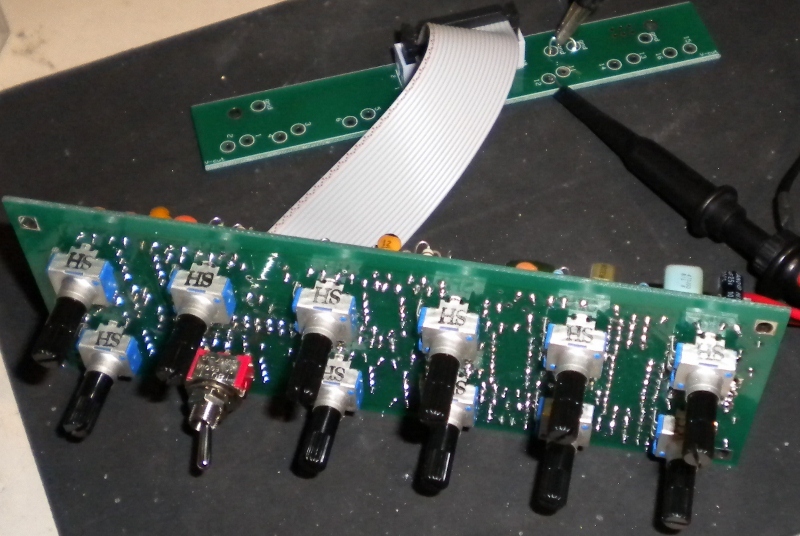 The crossbreed waveshaper/sequencer thing...not really sure what to call it. Feed it two VCO signals and it will divide them down by /2, /4, /8 and /16, plus AND gate various divisions from each input signal, then all of these 12 signals and the original inputs can be nulled or mixed to deliver a rather chunky output. 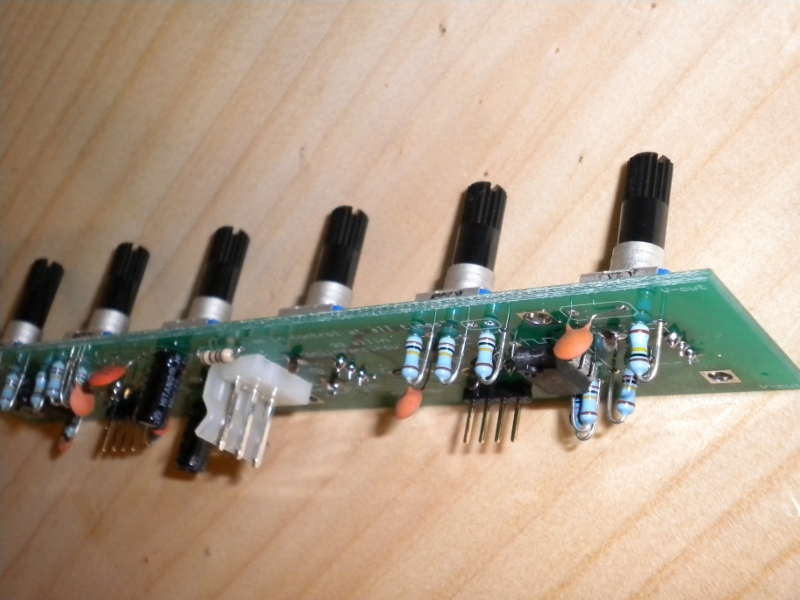 If you feed it two slow clock signals you get a sequencer...of sorts, nothing like any other sequencer out there. 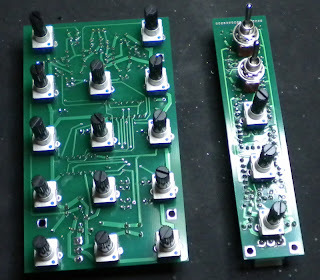 The dual mixer is simply two three input, single output DC mixers, nothing special but essential. 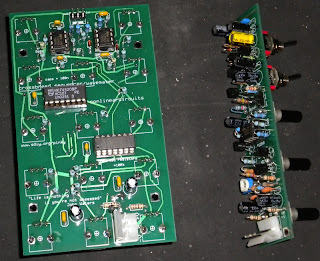 So far all boards have worked fine, with no trouble-shooting or kludges at all. I had a Coopers Pale tonight!